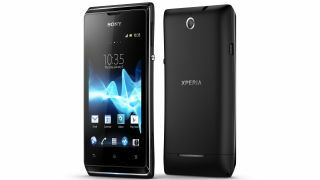 The weather outside may be frightful but Carphone Warehouse's fire is proving delightful for the Sony Xperia E, which looks set to hit the UK retailer in February 2013. Announced earlier this month, the budget Android phone is yet to receive an official UK release date from the Sony stable, but Carphone has it pegged. While Sony Germany has priced the Jelly Bean handset at around €159 (£130), Carphone hasn't seen fit to speculate on an exact UK price just yet. The handset isn't exactly going to set early adopters' hearts aflame, but the cash-strapped might be tempted by its 3.5-inch HVGA screen, Android Jelly Bean, 1GHz processor and 3.2MP camera. While the February 2013 release date remains unconfirmed, Sony has committed to a Q1 2013 release date so it's pretty feasible. Of course, its release date fanfare may be somewhat overshadowed by the biggest phone show of the year, MWC 2013, also taking place in February.